Elizabeth was born in Belfast, Northern Ireland and immigrated to Canada when she was a child with her parents and two younger brothers. Even as a young girl she showed an aptitude for art, buying her own easel when she was a teenager. She started with pastel and watercolour but soon graduated to oils. Currently she concentrates on painting using acrylic paint and still paints on canvas. She is a member of the Ottawa Mixed Media Association. Her early adult life left little time for honing her artistic skills and it was not until the last 15 years or so that she revealed again her artistic passions. A void due to the death of her beloved mother prompted her to begin writing, her first book was based on her life as a youngster in Northern Ireland and is classified as ”fiction based on fact”. The novel,”Cushla: Memoirs of a reluctant gypsy girl” weaves actual events in her early life into a fascinating and entertaining novel. Her publisher described Elizabeth as a natural storyteller. Prompting from family members encouraged Elizabeth to follow that book with two sequels, Cushla: Gypsy Spirit and Cushla: Almost Magic. Gypsy Spirit describes the family`s immigration to Canada and the struggles in adapting to a new country, while Almost Magic was based on recollections of her adult teen life and growing up in Canada. Almost Magic was nominated for an Ottawa Book Award. Elizabeth`s fourth book, titled Lilith is not part of the Cushla series. This book is again fiction based on fact and recounts the tale of a young girl faced with terrible circumstances, including her horrific treatment at the hands of the Magdalene laundries. This book will be available in stores shortly. Elizabeth continues to develop her skills as a creative artist and began making jewelry of many different types. She learned how to hand paint 100% silk scarves and features them very successfully in her Christmas market offerings. 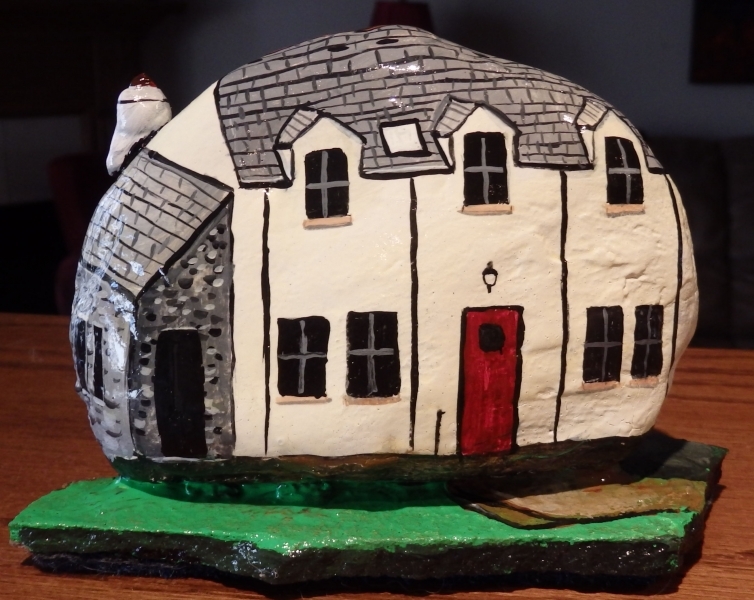 In the past few years or so she has created many beautiful hand painted river and ocean rocks, turning them into animals or cottages and other buildings. These items are very popular at craft shows and buyers are totally amazed at the amount of detail she puts into each rock painting. Elizabeth’s books were all published by General Store Publishing House (GSPH) in Renfrew. General Store no longer exists but Elizabeth has many copies of each book. The GSPH publisher opened a new location in Burnstown, ON and Elizabeth’s future books will be published there, starting with her new book, “Lilith”. 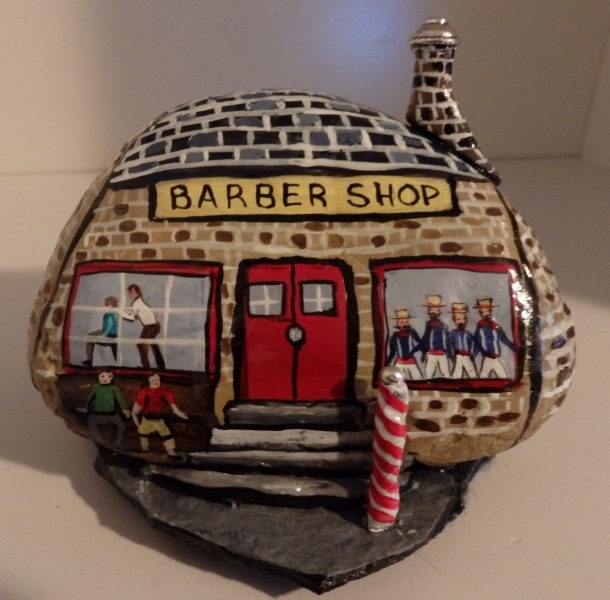 All rocks are painted with acrylic and some are finished with artist’s resin. Sizes vary and are hard to measure but most are 4“ x 6” or smaller. 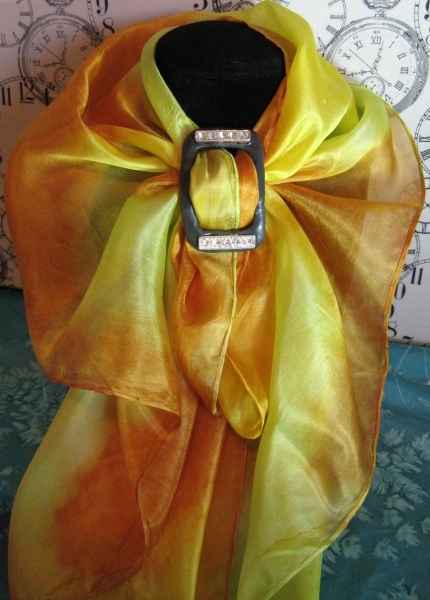 All scarves are painted in fabric dye and are 12” x 60” with silk weight 5 mm. Elizabeth focuses on pendants and finding new ideas for them. Each one is different and a variety of chains are available. 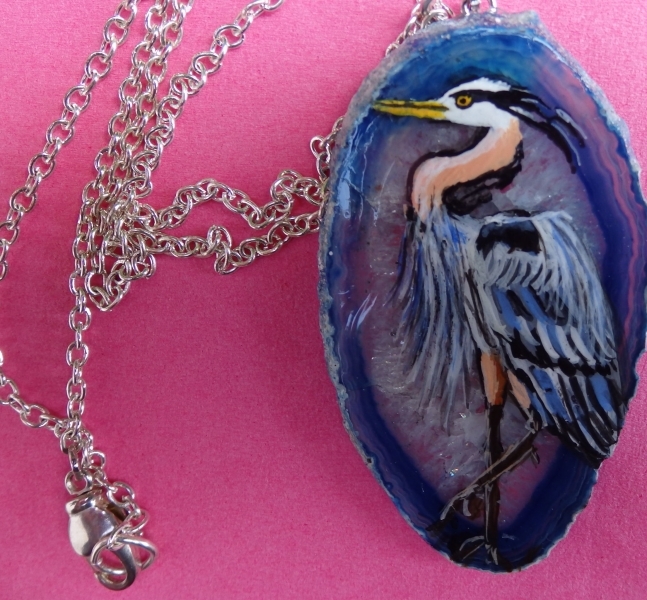 Some pendants feature designs or birds painted on agate. 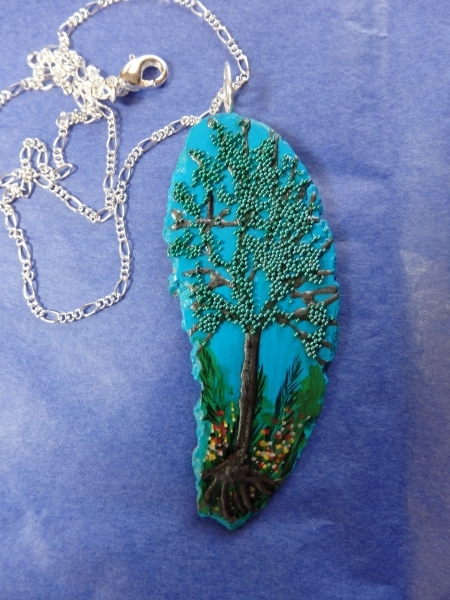 She also uses semi-precious stones in cluster pendants and tiny micro beads are incorporated into her “tree of life” pendants. 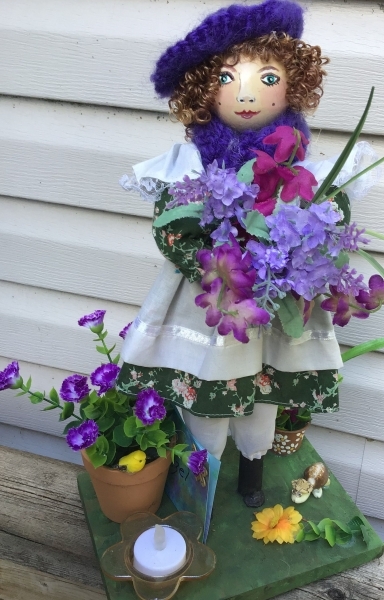 Recently Elizabeth used various items to create a number of dolls. Some are of one person, some are of two together. Elizabeth invented the doll structure using dowel rods and wooden base. She sews the outfits for each character, makes a head out of artist’s clay and paints the faces with acrylic. Elizabeth does commission work. 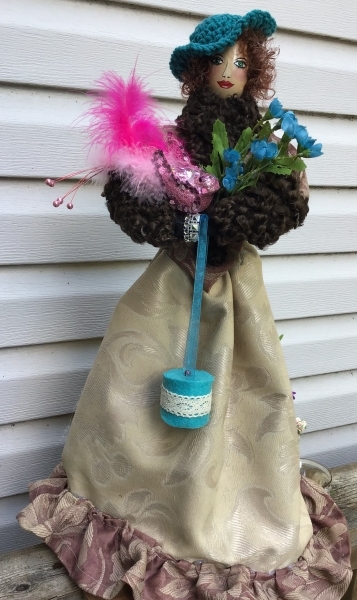 She accepts orders for new items in any category, she just requires a detailed description of the requirements or a photo from which to paint the item.